Smart Money provides introducers access to competitive bridging finance products, which are available across all areas of England, Scotland & Wales. A bridging loan is a short term lending solution often used by buy-to-let landlords, property developers and other property professionals to help them bridge the gap until longer term funding can be arranged or until a property is sold. Typically bridging finance can be taken from between 3-12 months and will be redeemed once the clients “exit route” arrives which will usually be replacement, longer term funding or the sale of a property. What can a Bridging Loan be used for? Purchase or refinance of a residential buy-to-let property. Properties requiring heavy or light refurbishment. Time-critical transactions – i.e. tax bills or business purposes. Loans from £26,000 – £5m. 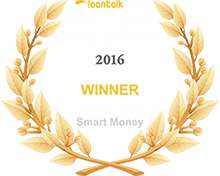 1st charge bridging finance and 2nd charge. Residential & commercial properties considered. If you’re a mortgage adviser or financial intermediary and have buy-to-let landlords looking to raise capital urgently, speak direct to a decision-maker today.